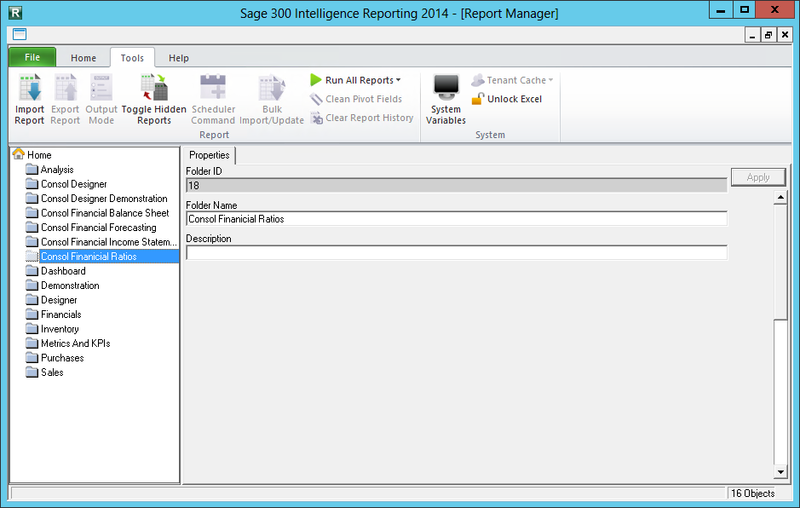 We introduced the Sage 300 ERP Inquiry tool in our 6.0A release. This tool was part of the new Web Based Portal. I blogged about it here, this blog was written before release when we were call it the Adhoc Query tool. 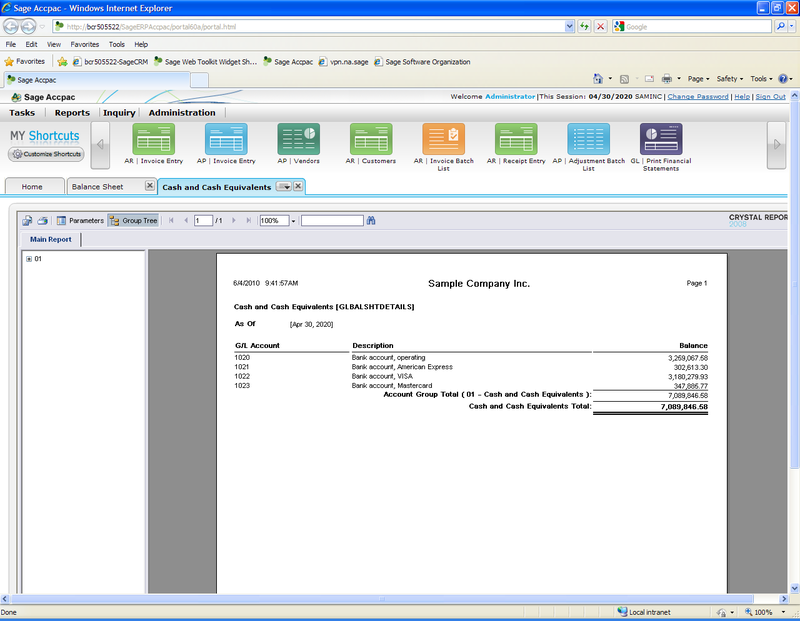 With the 6.0A release we had query templates for General Ledger (G/L), Accounts Payable (A/P) and Accounts Receivable (A/R). 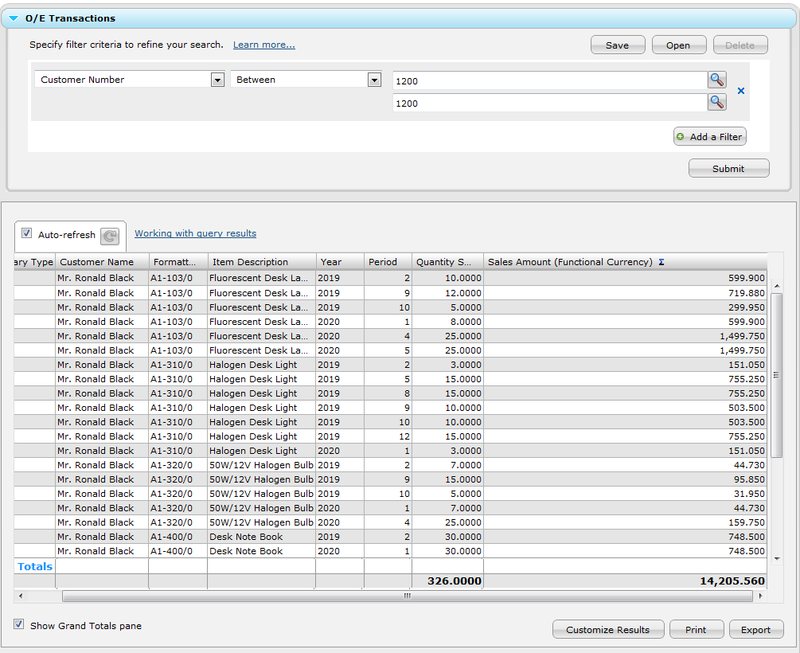 With our upcoming 2012 release, we are adding query templates for Inventory Control (I/C), Order Entry (O/E) and Purchase Orders (P/O). Remember that the intent of the Inquiry tool was to be easy to use, so anyone can inquire on their data without requiring any assistance or support. Let’s look at a few simple examples. For instance, say you want to know everything that our favorite customer, Ronald Black, has purchased from us? 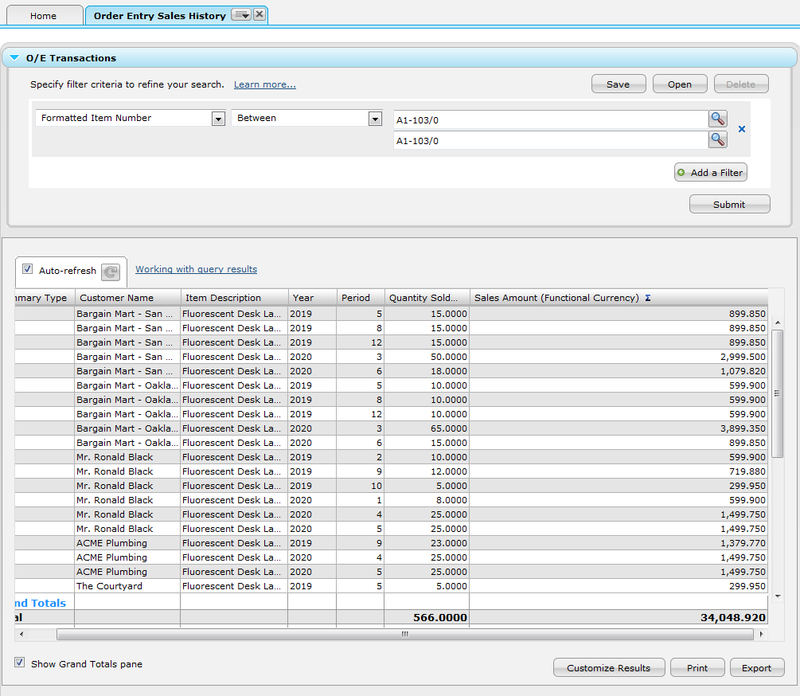 We can then use the “Order Entry Sales History” template and select our customer as 1200 from a “Finder”, and immediately see a list of everything he purchased. We can then add a totals line to see the total. If we wanted to we could group this by year or period and see subtotals for these. Suppose we wanted to know what our total sales of “Halogen Desk Lights” is and who is purchasing them? These were just two simple examples using Order Entry Sales History. Hopefully with these data domains for the operations modules, you can get answers to the questions you have about what is happening in your company. The intent is that you can inquiry and report on questions to do with your inventory and operational transaction histories to help you with projections, better manage inventory levels and to direct marketing to your customers based on their history. Hopefully the P/O queries will help you better manage your vendors and to help your company control costs by having more visibility into its purchasing patterns. 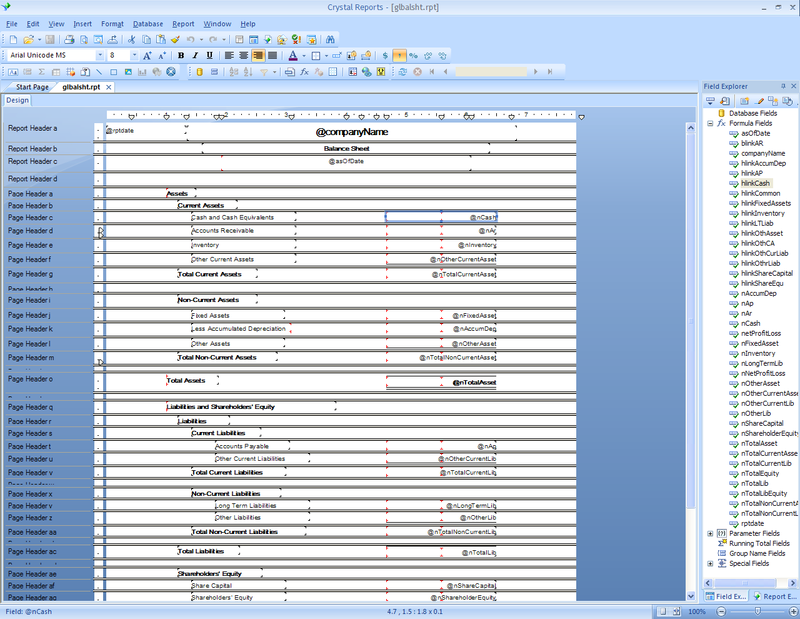 Remember you can print these, export these, choose the columns and sort order. 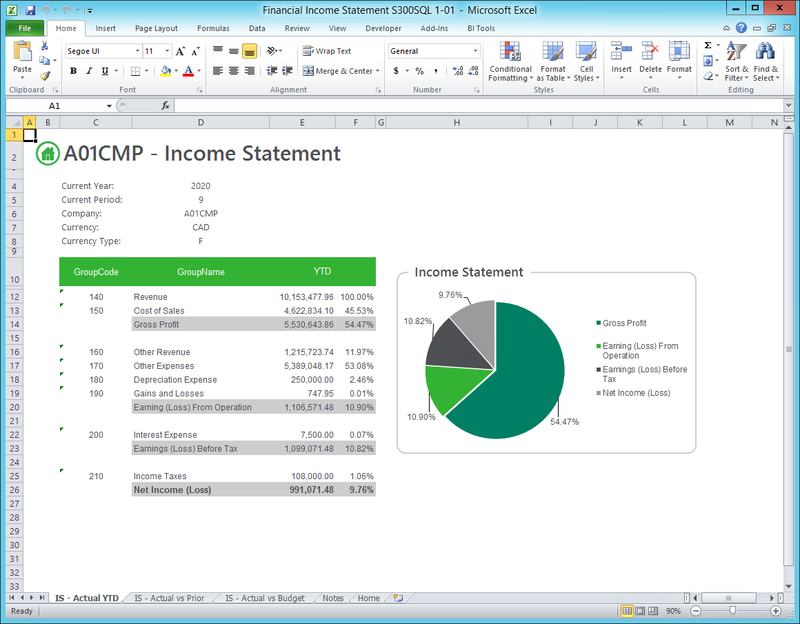 You can have any number of selection criteria; there are five types of totals that can all be grouped by a field. Again the primary idea is keep the operation of this screen really simple, so anyone can ask questions on their data this way. If you still need additional data queries (data domains) you can get a developer to create these for you. I blogged on how to do this here. Any of these that you created previously will continue to work. Just beware that you will need to move them to the inquiry61a folder when you upgrade. Unfortunately there is still the limitation that you can’t add menu categories to the Inquiry menu, but at least now there are 3 more existing places to choose from. 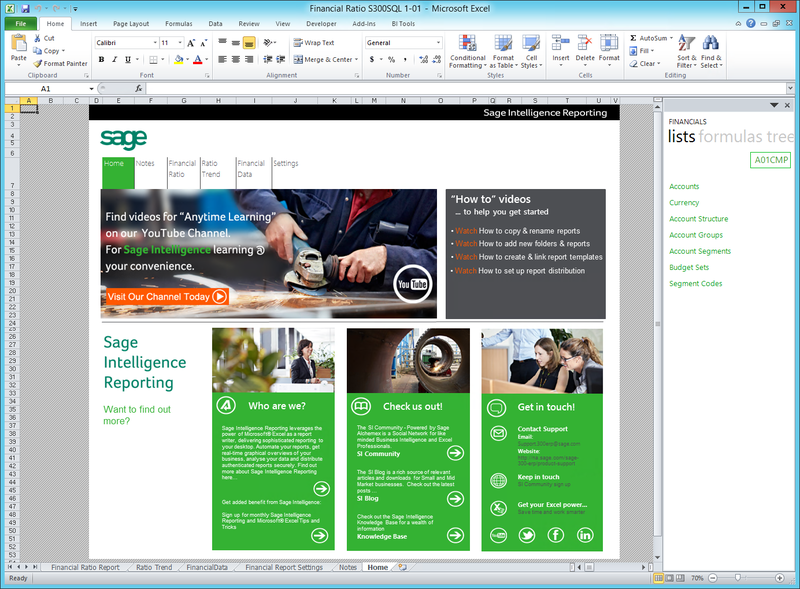 We continue to fill out the web based functionality we introduced in Sage 300 ERP Version 6.0A. 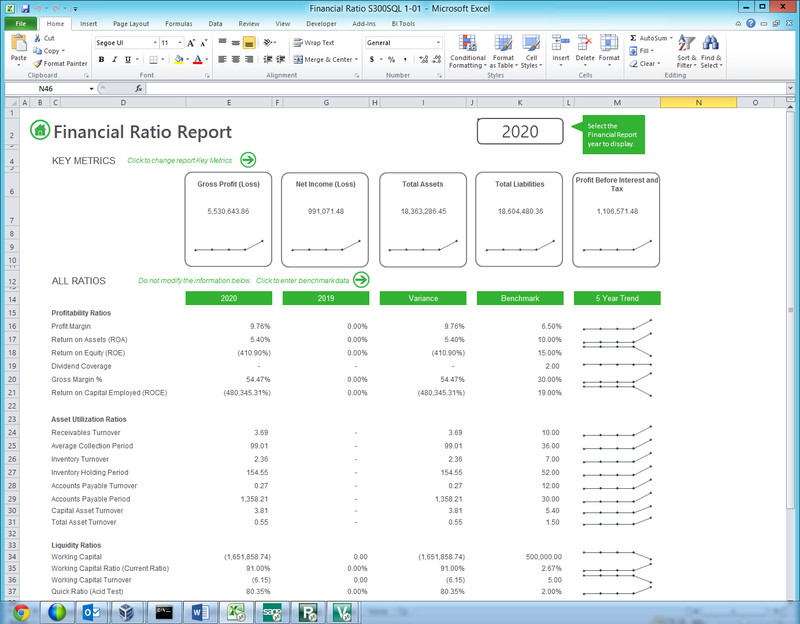 This is just one of the many new features that our next release Sage 300 ERP 2012 provides. 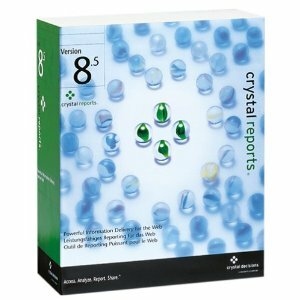 Sage ERP Accpac 6 brings the ability to drill down from data in a Crystal Report. This ability is only available in the new Web version and not from the VB version. 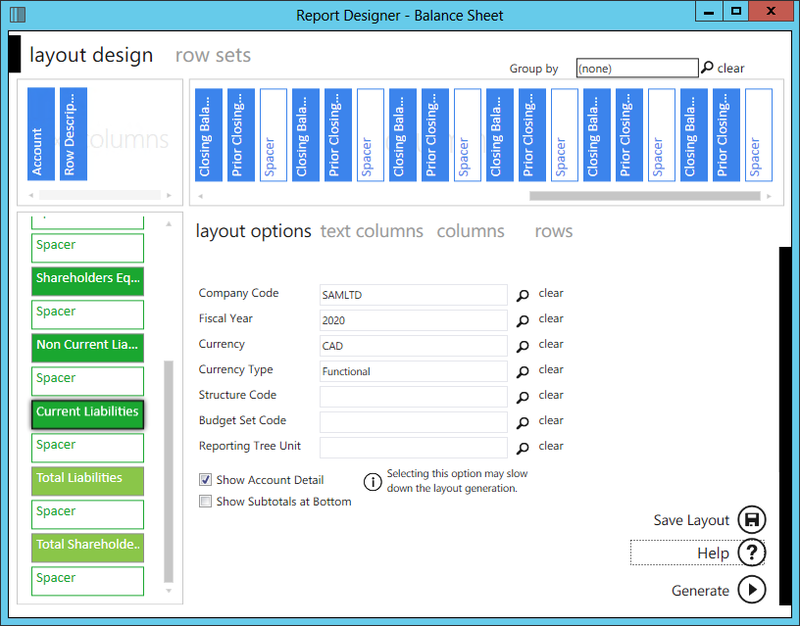 Report designers have the ability to add hyper-links to reports, which will trigger a user interface form to be run when the link is clicked on. 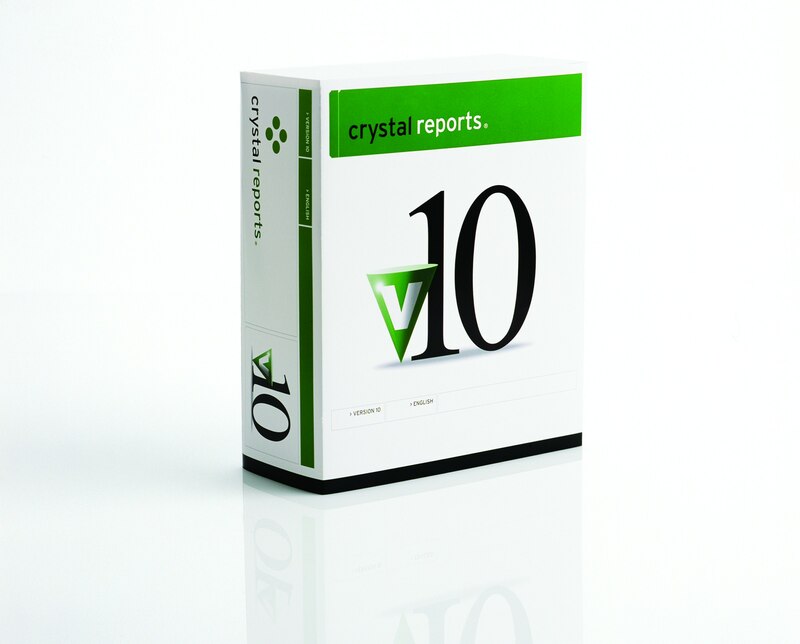 The Crystal Report can pass data to the UI form to enable drill down. 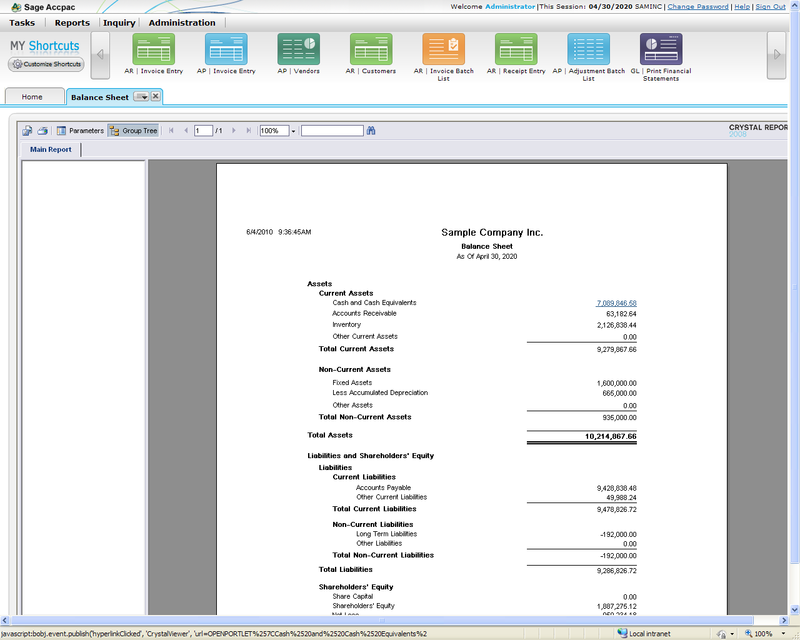 In the screen shot below the cursor is over the first money amount in the report, so an underline appears indicating you can click on this number (the underline appears when the cursor is over the link). 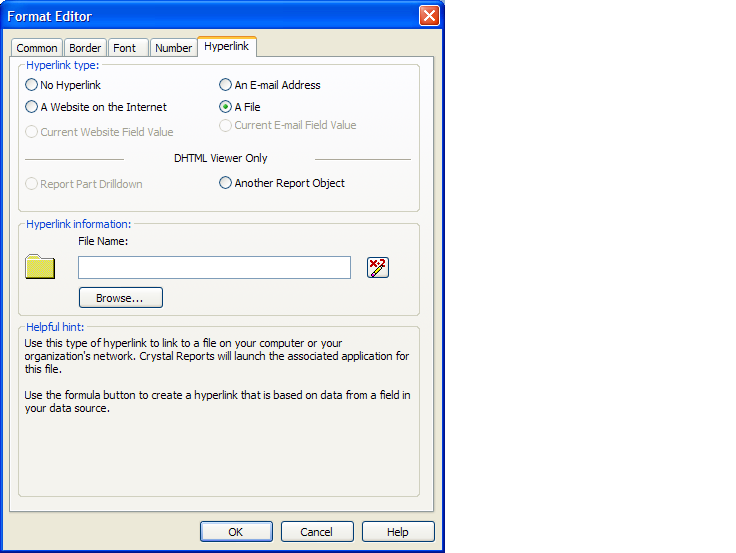 You can select a field and select Format – Hyperlink. Basically with this you are setting the data that will be sent to the Accpac portal when you click on the hyperlink. Here you specify what you want done, including the URL of the UI form to run and build its parameters. You build the parameters using the Crystal formula language to build a string or URL parameters, which the UI form can interpret when it runs. 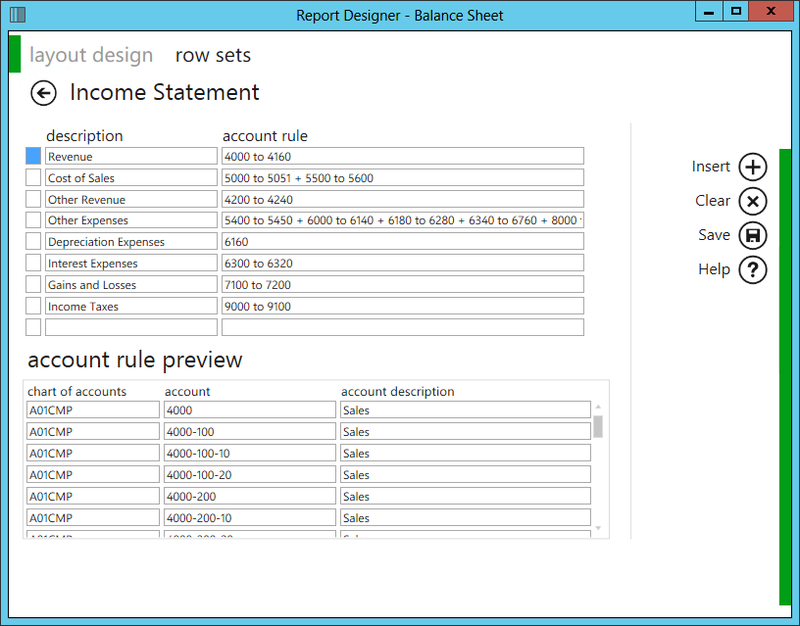 To the end user it then appears that from reports you can drill down to both other reports and to UI data entry forms. As we develop the new Web Based version of Accpac we are putting hyperlinks everywhere. This allows you to drill down from almost anything. This functionality will be far more pervasive than we’ve had in the past. Adding drill down to the current product has always been very popular, since customers want to know how various numbers are calculated, what was added up to give them a total or summary. Hopefully a popular feature.